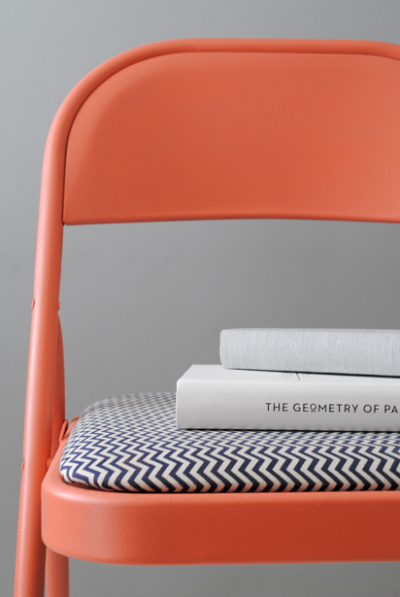 Simply updating your seating can have a huge impact on the aesthetics of your space. 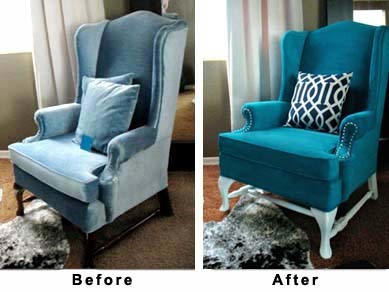 You don’t have to spend a lot of money to transform some of the pieces you might already own. 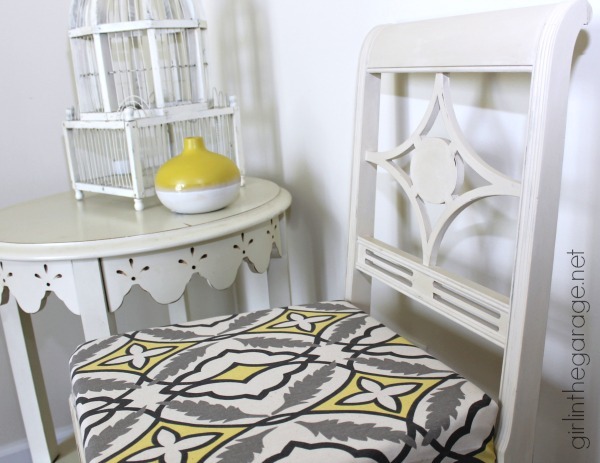 Did you know you paint directly onto fabric using Annie Sloan paint?? Check out Sara’s post to get all the details!! 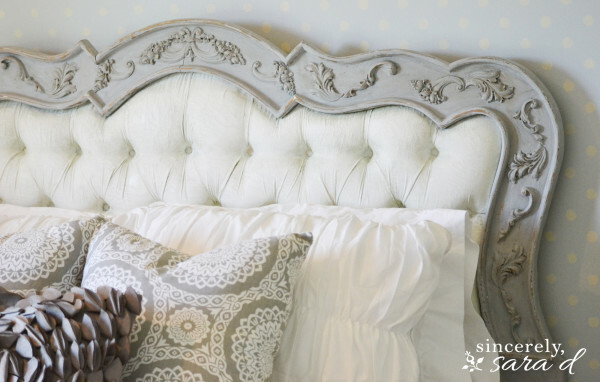 Chalk paint isn’t the only type of paint you can use on fabric. Latex paint can be used is a similar way if used with an additive. Check out Hyphen Interiors blog for more great ideas! 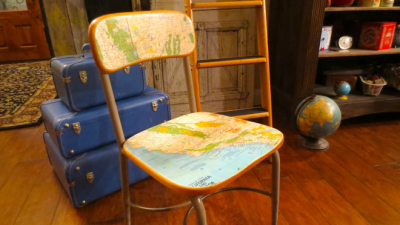 If you have a wooden or flat surface use decoupage medium and either fabric or paper (maps, sheet music, wallpaper…) to transform the piece. 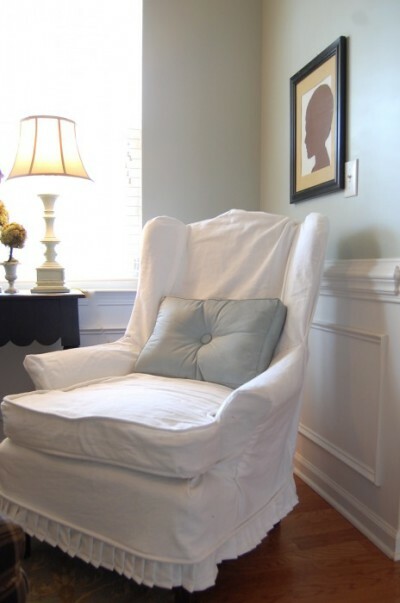 If you have chair with a simple upholstered seat, changing the fabric is very simple. 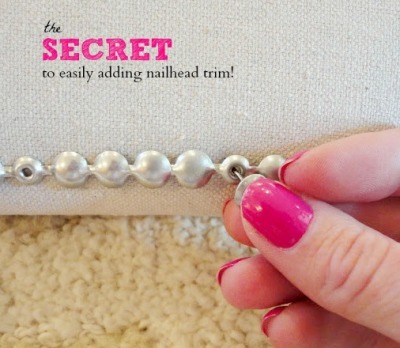 Nail trim will instantly add a more custom and expensive look to any piece. Of course, I couldn’t leave spray paint off this list! Spray paint gives you a great finish and comes in so many fun colors. 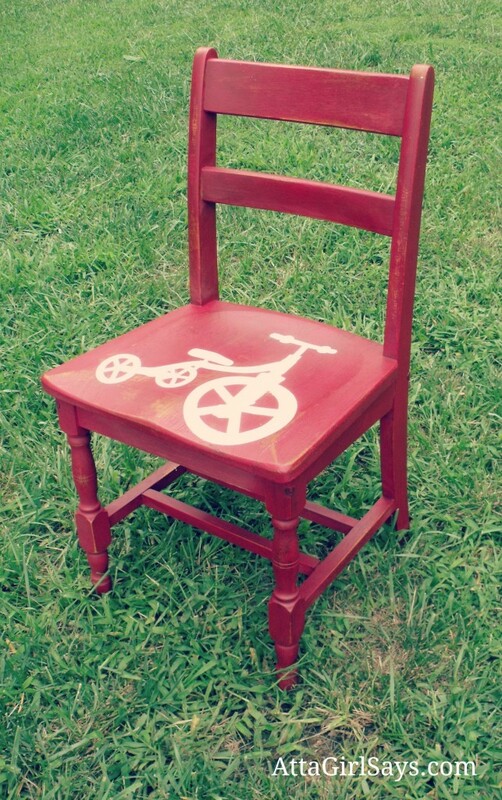 A simple stencil and some paint can transform a flat surface. 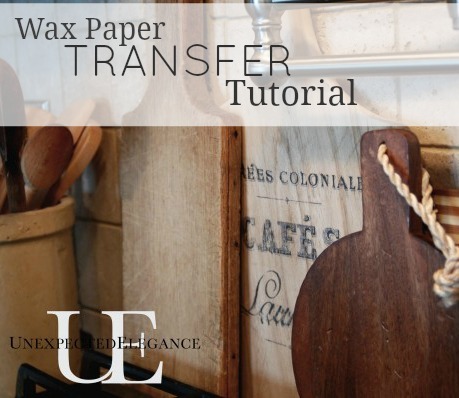 You can use this technique on wood, plastic, vinyl, and even fabric. This technique is great for when you want a specific image or wording. It works best on wood and with black ink, but you can use under stain or over paint. 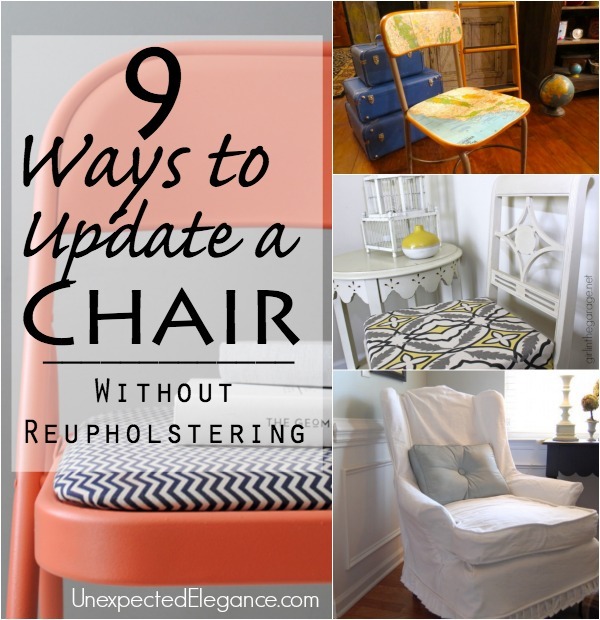 This is probably the most challenging way to update a chair or couch without reupholstering, but can still be done if you have some experience sewing. I noticed that you used a pic of my chair above. Would you mind linking back to my blog if you want to use the image? Thanks!! Kristy, I linked to all the projects. 🙂 The link is the bold heading: Latex Paint on Fabric. I will add another one with your website too. Great project! Does paint on an upholstered chair rub off in anyway when someone sits on it ?